Some of us still haven't rested from that mixtape (Soul Tape 2) that Fabolous dropped on us back in November 2012, as it's still in rotation is some of our iTunes folders (like my own!). Loso has premiered the first single 'Ready' which features Chris Brown for his sixth studio album Loso's Way 2: Rise to Power since his 2009 release Loso's Way. Fabolous has been in the studio working with the likes of Pharrell Williams, No I.D., Hit-Boy and The Runners whose production work will all feature on the album. Fabolous plans to debut Loso's Way 2: Rise to Power this coming year as well as other major projects. 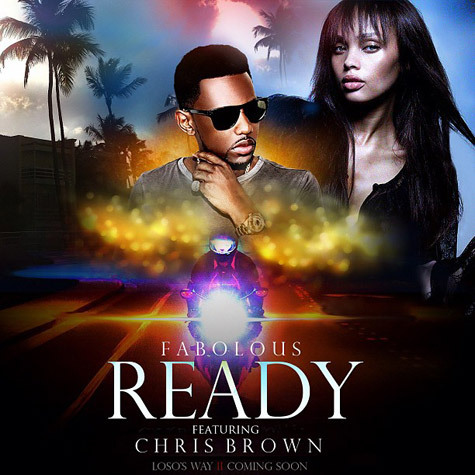 Listen to 'Ready' by Fabolous featuring Chris Brown, produced by The Runners. Fabolous does NO wrong in my books!